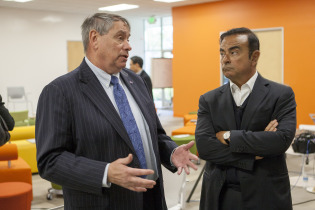 I n a shocking move, NASA has announced that they will be teaming up with the Japanese-based Nissan Motor Corp. over the next five years to develop autonomous technology. That’s right; NASA, the former pride of America, is working against American companies in the highly competitive, extremely lucrative autonomous race! Their first vehicle collaboration is currently scheduled to be tested by the end of this year, Nissan said in a statement Thursday. In order to get the project going, Nissan will provide an army of Nissan Leafs, which have built-in electronic hardware that makes building an autonomous vehicle easier. 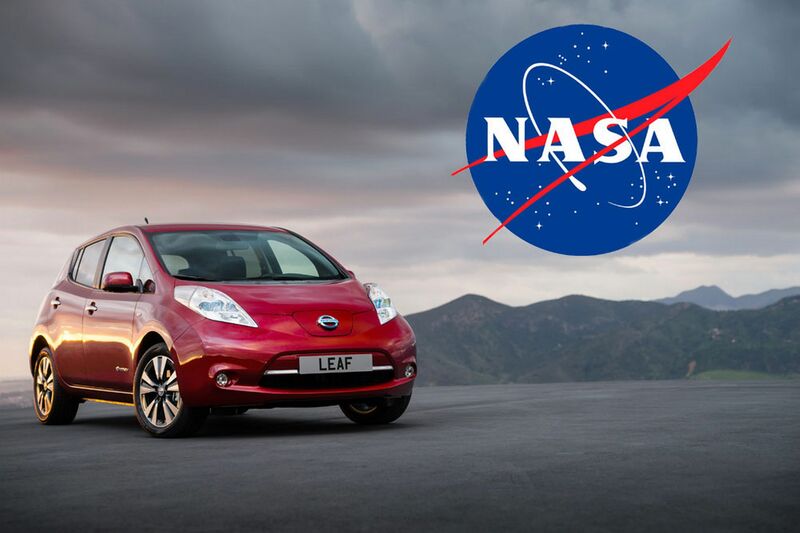 According to reports, the NASA/Nissan tandem will work out the autonomous kinks at two different locations: Nissan’s Silicon Valley Research Center and NASA’s Ames Research Center at Moffett Field, Calif.
Network-enabled apps. These will allow the car to integrate into the environment and “communicate” with other vehicles. NASA, on the other hand, is hoping to develop a more suitable autonomous rover, specifically for Mars. There is no doubt that this partnership will, in the end, create a great product that will sell in the market place. But did NASA really have to team up with a Japanese company? What are your thoughts on the move? Let us know in the comments below. This entry was posted in Culture, Nissan and tagged autonomous, autonomy, cars, NASA, Nissan, partnership. Bookmark the permalink.